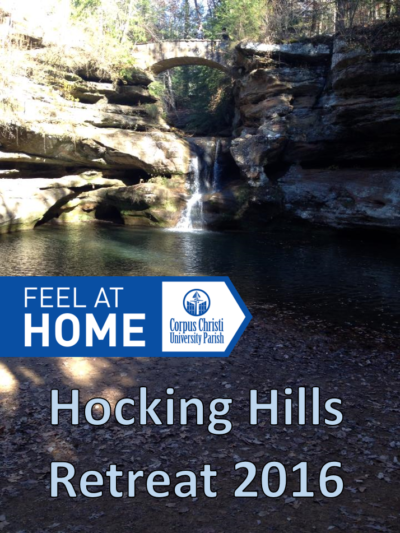 The Undergraduate Student Fall Retreat will be held in Hocking Hills, OH again this year! It will be from Nov. 11 – Nov. 13. There will be a $20 registration fee for this retreat. Please have that turned in along with your registration form by Sunday Nov. 6 following the 6PM Mass. If cost is an issue for you, please talk to either Fr. Phil or Kim Myers.